Most energy is derived from fossil fuels and hence any personal savings in the use of energy will reduce carbon emmissions. 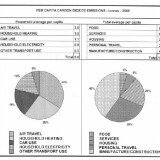 The figures shown are for 2006 when the average per capita emmission was 11.6 tonnes, half of which was from direct personal emmissions – air travel 34%; household heating 26%; car use 19%; Household electricity 16%; other transport use 5%. Emmisssions outside the household but related to househjold activities – Manufacturing and construction 40%; personal travel 29%; housing 20%; services 6%; food 5%. The figures show that 5 tonnes (out of the total of 11.6) are caused by travel and 2.3 tonnes by manufacturing and construction. 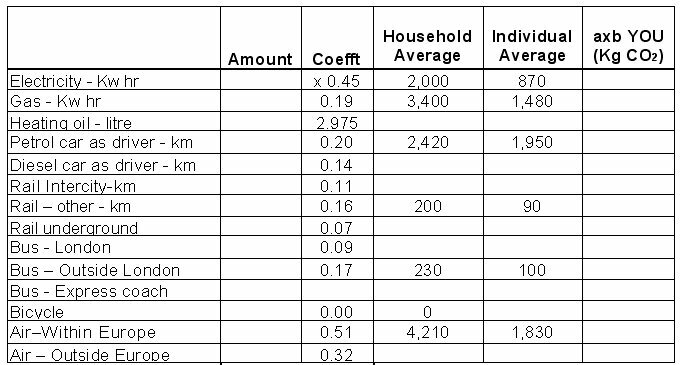 Household electricity accounts for about 0.9 tonne and household heating 1.5 tonnes. Hence the greatest reductions are to be made from reducing travel. 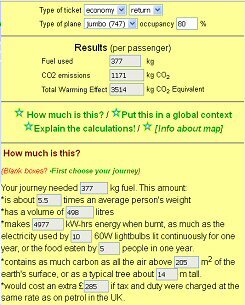 The impact of international air flights can be determined from the CHOOSE CLIMATE CALCULATOR . The diagram on the left shows the results from the calculator for a return flight from London to Douala (Cameroon) – a distance of 4,995 km. 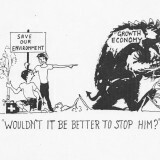 Note that this resulted in a per capita emission of approximately 3.5 tonnes. Greenhouse gas emissions from aircraft flying in and out of Britain in 2030 are estimated to then contribute nearly half the UK total. 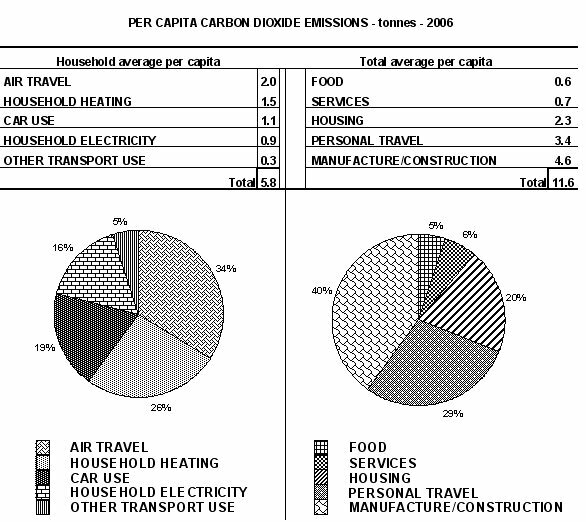 Aircraft from UK airports alone emitted 9.8 million tonnes of carbon in 2005 – equivalent to 36 million tonnes of carbon dioxide. 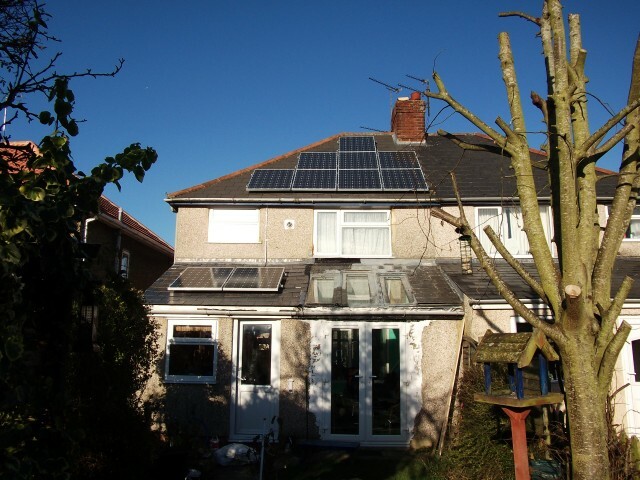 There is also information on ENERGY EFFICIENT HOMES and CARBON FOOTPRINTING on the National Energy Foundation web site.